Asian Development Bank (ADB) has awarded the TFP Award 2017- Leading Partner Bank in Nepal to Himalayan Bank Limited. The TFP awards recognized 18 leading partner banks in 2017 for their role in supporting trade in Asia and the Pacific region. ADB has awarded the TFP award to the Bank for the recognition of its role in promoting trade finance in Asia and the Pacific. 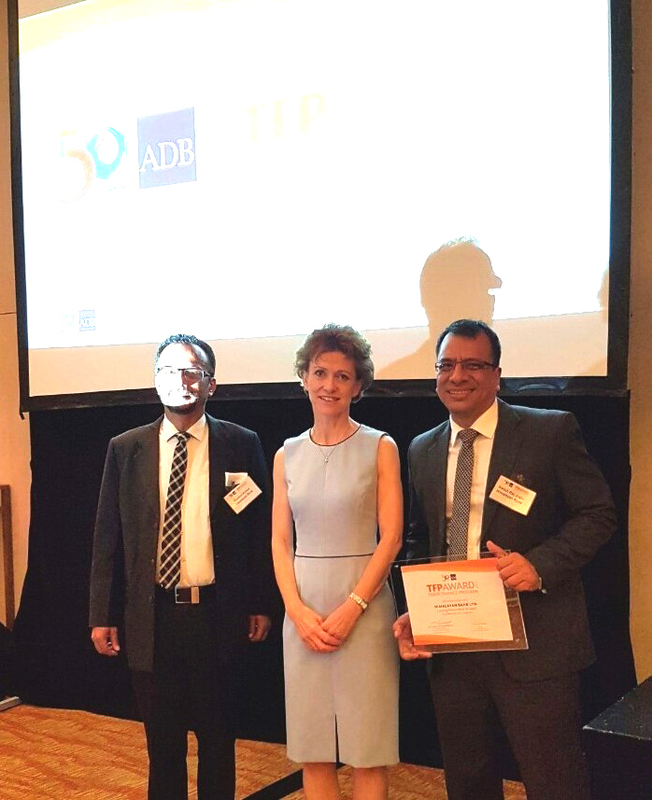 Senior Managers of the Bank, Naveen Kumar Poudyal and Satish Raj Joshi received the award amidst the ADB Trade Finance Program (TFP) Award Ceremony organized by ADB in Singapore on September 5, 2017. It’s the second time that the Bank has received the award recurrently.